R. Baron Designs: Bead Soup Preview! The HUGE Bead Soup Blog Hop is still a couple weeks away, but I have started to play with the amazing soup sent to me by my partner, Pat Haight of Wigglebutt Creations. 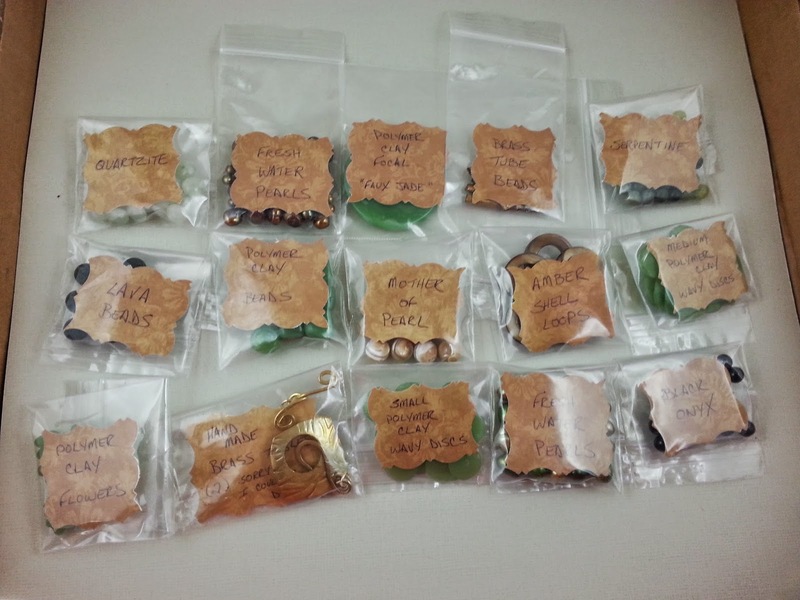 Here is just a little teaser of the soup she sent; she beautifully labeled all of the delicious beads she sent me! Yeah, I know the picture doesn't show the pretty beads...you'll just have to wait for the blog hop, happening Sunday, May 3rd! I would love to hear from you! Share what's on your mind! Someone had a lampwork tutorial published!